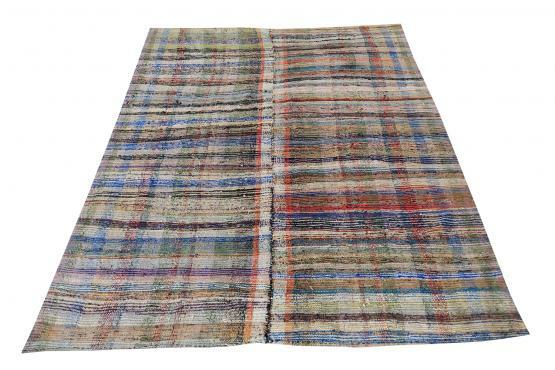 → Rugs → 60348 Modern Multi Color Turkish Handmade Flatweave Size 10'5"x7'3"
Hand-made Turkish flatweave, wool. 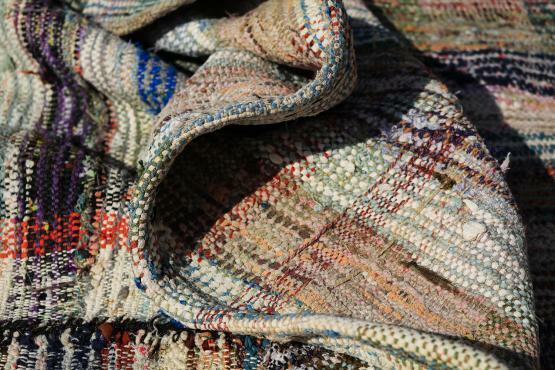 This one of a kind piece can be used as a flatweave rug, table cloth, drapery, or upholstery. 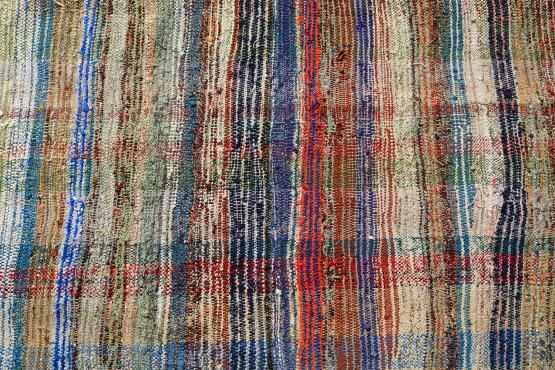 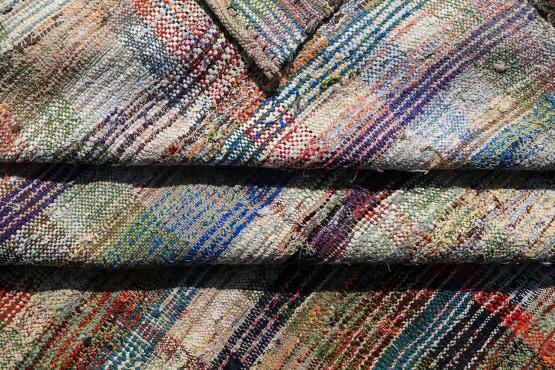 It's colors and patterns are reminiscent of today yet it's weave and quality tells a story of Turkey long ago.